Technology development has provided enormous translating tools. Most of them are available for free. Good news! 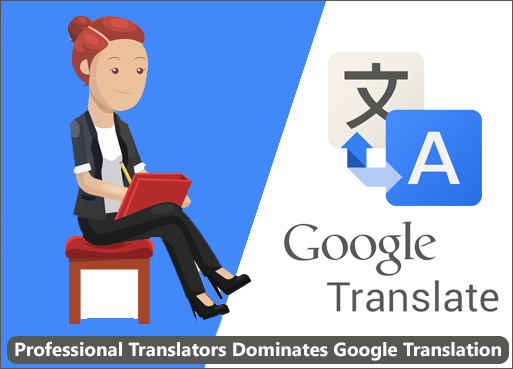 Google, search engine leader has gifted people with a free translator. Nice to know all these details. Now I will ask you a question to brainstorm. Can we look at accuracy from Google translator? To some extent Google translators are accurate. Next question for you to think. Google translator accuracy is sufficient for professional translation requirements? This is a tricky question. A certified translator comes into the picture to resolve this issue. Google translator comes below a certified translator in accuracy point of view. But, when we talk about speed Google translator wins the race. Still, I vote for a certified translator. Wondering why? As speed alone cannot make Google translator a qualified translator. Google translators fail to understand the tone of the translation. Certified translator interprets the tone and provides an accurate translation. Certified translators preserve the originality of the source language. While we use Google translators, we upload our document and obtain a translation. Privacy becomes a problem. Certified interpreters sign NDA, and we maintain the confidentiality of our details. When a single word conveys a different meaning, only a professional certified translator chooses the right word matching the content. Google translator merely translates. This results in a meaningless sentence. When you look at cost, Google translator might look cheap at the surface level. Certified translation charges you for the work but leaves you tension free. Google translation always needs a professional to rework on it. If you look at a price, you land up wasting time. I strongly feel to conclude this discussion stating that a certified translation service takes your business to the next level. Communication should not become a barrier due to the use of Google translator. Take that extra step and refer ansh.com. We assure you the best translation services for all your requirements in any language you ask for.